Since 1974, we have been creating original Cattleya hybrids. 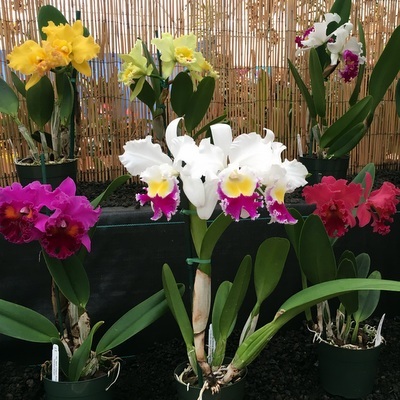 Most of our Cattleya orchid plants are the large bloom type (3-4" size). While we do have a few compact varieties, we specialize in the large, fragrant types. To receive wholesale pricing on our Cattleyas, we require that you are an active operating business & purchase a minimum of 6 boxes/year. Plant quantity will vary with seasonal availability. A typical wholesale box contains 20-24 plants. We ship via FedEx 2-day service on Monday, Tuesday & Wednesdays. For interisland, local Hawaii shipments only, we can also schedule to ship on Thursday for Friday delivery. Please fill the form below if you need additional assistance.